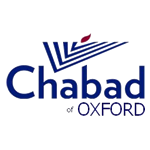 The Oxford University Chabad Society was honoured to host on 21 January 2009 a lecture by Eva Schloss, who is a survivor of <?xml:namespace prefix = u1 /><?xml:namespace prefix = st1 ns = "urn:schemas-microsoft-com:office:smarttags" />Auschwitz and a stepsister of Anne Frank. Eva Schloss was born in Vienna in 1929. She and her family emigrated to Belgium, and then to Holland in 1938, following Hitler’s annexation of Austria. After the Germans invaded Holland in 1942, the family went into hiding. In May 1944, they were betrayed, captured by the Nazis and sent to Auschwitz-Birkenau death camp. Only Eva and her mother survived; her father and brother did not. She and her mother were liberated by the Russian army in January 1945, and evacuated eastward into Russia, as fighting was still going on to the west. In May 1945, they were repatriated to Amsterdam. In 1951, Eva moved to London to train as a professional photographer, and in 1952 married Zvi Schloss. In 1953, her mother married Otto Frank, the widowed father of the diarist, Anne Frank. Since 1985, Eva has become increasingly active in Holocaust education, and received an Honorary Doctorate in Civil Law from the University of Northumbria, England. She also became a Trustee of the Anne Frank Educational Trust, U.K. In 1988, the book Eva’s Story was published, and in 1995, Eva cooperated with the playwright James Still in the creation of the educational play, And Then They Came for Me: Remembering the World of Anne Frank about four teenagers in the Holocaust. In 2005, she wrote The Promise with Barbara Powers, an educator from Michigan. It includes a strong message about a chain of goodwill that has been appreciated by people of all ages. In 1999, Eva joined United Nations Secretary General Kofi Annan signing the Anne Frank Peace Declaration, along with a niece of Raul Wallenberg, a Schindler-like hero who rescued thousands of Jews in Budapest. Eva Schloss addressed an audience of more than one hundred guests, including students, academics, and her husband and daughter, Zvi and Jackie. Her lecture was preceded by a talk by son of a Holocaust survivor, Jewish philanthropist, Mr. Mendel Tajtelbaum. He told the story of his father who was a Holocaust survivor from Poland, and who dedicated his life to the building of synagogues round the world in response to the destruction of Jewish life and synagogues in Poland, some of which Jews themselves were forced to destroy. Former Lord Mayor of Oxford, Cllr. Jill Saunders, came to represent Oxford city council and presented a gift to Eva Schloss. The speakers were introduced by Rabbi Eli Brackman, director of Oxford University Chabad Society, who spoke about how society is plagued by hatred and intolerance between nations, religions, communities and neighbours, and for the lessons of the Holocaust to be learnt, this hatred needs to be replaced with the basic tenet “Love Your neighbour as yourself”, which needs to be the basis of all religions and of all humankind. Eva Schloss spoke for one hour about her family background, the period of hiding for her family in Holland, her relationship with Anne Frank, and her emotions after the war, especially regarding her view of mankind. In particular, Schloss expressed the profound sense of bitterness she had felt after the war, because of what she had perceived as the unwillingness of the world in aiding the Jewish people, which essentially allowed the Holocaust to be perpetrated. Schloss also related her experience and insights to broader contemporary themes, including the breakdown of society, because of lack of religion and the necessity of the State of Israel to exist for the Jewish people, despite the difficulties. Eva Schloss’s lecture was followed by several questions from the audience about her war-time experiences, the question of forgiveness, the issue of Holocaust denial, and the situation of Israel and the Middle-East conflict. On this last point, Schloss expressed her strong wish to see peace in the Middle-East.